Lovin' Lyrics Music Promotions: EVER WONDER HOW THE ACM WINNERS ARE DETERMINED? EVER WONDER HOW THE ACM WINNERS ARE DETERMINED? With this year's ACM Awards upon us, I know we all have questioned how the main category award winners are determined when our favorites don't win. Here is the official voting criteria for each category. Here's hoping your favorites take home the award this year for their nomination. The factors to be considered include, but are not limited to, success at radio, sales of pre-recorded music, success of music videos, vocal performances, live concert ticket sales, artistic merit, appearances on television, appearances in films, songwriting, success in digital media, and contributions to the country music industry. The nominees shall be determined by a nomination ballot(s) and are subject to the approval of the Board. The winner shall be determined by a vote of the ACM professional membership. An album is defined as a unified released body of work with a minimum of either seven (7) full-length musical works and/or thirty (30) minutes in length. The nominees shall be determined by a nomination ballot(s) and are subject to the approval of the Board. 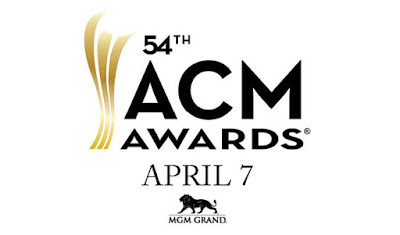 The winner shall be determined by a vote of the ACM professional membership.An album is considered released on the first available date that the material can be possessed by a consumer via a purchase in its entirety and/or streamed legally in its entirety by a royalty-generating service. If the album was released during the two (2) prior eligibility periods, but achieved its highest charting position on the Billboard Top Country Albums Chart during the eligibility period, it is eligible unless it has appeared on a final ACM ballot in this category.To be eligible, a minimum of 51% of the standard edition of the album must contain songs that have not been previously released by the artist prior to thirty (30) days from the album’s release date. “Best Of” and “Greatest Hits” albums are ineligible.Only the standard edition of an album may be submitted for eligibility, as determined by the record company. Once an album is nominated in the final round, it may not be nominated in alternate configurations for future voting. Any single released and achieving a Top 20 charted position on Billboard’s Hot Country Songs or Country Aircheck (Mediabase) country charts during the eligibility period is eligible. If the single was released prior to the eligibility period, but achieved its highest Top 20 charted position during the eligibility period, it is eligible unless it has appeared on a final ACM ballot in this category. The factors to be considered include, but are not limited to, success at radio, record sales, success in digital media and impact of the song on consumers and the country music industry with emphasis on the creative integrity of the song. A Professional Panel of at least twelve (12), no more than twenty (20), members categorized in the Artist-Entertainer/Musician-Bandleader-Instrumentalist, Composer, Music Publisher/PRO, Record Company, and the Producer-Engineer-Studio Manager subcategory [contained within the Affiliated category],whose members are approved by the ACM officers, will submit a list of at least 10 nominees or 10% of all eligible songs (whichever number is greater) to ACM members classified in the Composer, Music Publisher/PRO categoriesto select the final five (5) nominees to be placed on the final ballot once approved by the Board. The winner shall be determined by a vote of the ACM professional membership.Any song released reaching its highest charted position on Billboard’s Hot Country Songs or Country Aircheck (Mediabase) country charts, during the eligibility period is eligible. If the song was released prior to the eligibility period, but achieved its highest charted position during the eligibility period, it is eligible, unless it has appeared on a final ACM ballot in this category. This award is presented to an individual known predominately as a songwriter, selected by a Professional Panel of judges composed of songwriters, publishers, producers, and performing rights organization (PRO) representatives. The Panel will submit five (5) nominees, which will be placed on the final ballot once approved by the Board. The winner shall be determined by a vote of ACM members classified in the following categories; Artist-Entertainer/Musician-Bandleader-Instrumentalist, Composer, Music Publisher/PRO, Record Company, and the Producer-Engineer-Studio Manager subcategory [contained within the Affiliated category]. The factors to be considered include, but are not limited to, a commercially released single crediting the songwriter that charted on Billboard’s Hot Country Songsor Country Aircheck (Mediabase) country charts during the eligibility period. If the single was released prior to the eligibility period, but achieved its highest charted position during the current eligibility period, it is eligible, unless it appeared on a final ACM ballot. Any music event single released and achieving a Top 50 charted position in Billboard’s Hot Country Songsor Country Aircheck (Mediabase) country charts during the eligibility period is eligible. If the music event single was released prior to the eligibility period, but achieved its highest Top 50 charted position during the eligibility period, it is eligible unless it has appeared on a final ACM ballot in this category. To be eligible, the music event must be a collaboration between two or more artists who do not normally perform together and are all credited on the album track listing. *In the event that the Board determines that there are not enough nominees in this category in any particular year, this category may not be awarded. The factors to be considered include, but are not limited to, success at radio, sales of pre-recorded music, success in digital media, live concert ticket sales and vocal performances.The nominees shall be determined by a nomination ballot(s) and are subject to the approval of the Board. The winner shall be determined by a vote of the ACM professional membership. This award is presented to an outstanding individual artist in the country music industry who gains either initial fame or significantly greater recognition, through efforts surrounding the promotion of a debut or sophomore album, during the eligibility period. The artist must have success in digital media; in addition to having charted a single record in the Top 40 on Billboard’s Hot Country Songs or Country Aircheck (Mediabase) country charts. Any albums self-released by an artist through an independent label that the artist owns and operates may not be counted as a debut or sophomore album, unless it produces a Top 40 single reported by Billboard’s Hot Country Songs or Country Aircheck (Mediabase) country charts. The nominees shall be determined by a nomination ballot(s) and are subject to the approval of the Board. The winner shall be determined by a vote of the ACM professional membership. Any artist(s) that previously served (or currently serving) as lead artist for, or otherwise fronted duos or groups in any genre are not eligible for this category. Additionally, any artist(s) who has gained initial fame as a solo artist, a member of a duo or group in another genre, are not eligible in this category. An artist may be a nominee two times in a three-year period. Once an artist releases the lead single from a third studio album, he/she will no longer be eligible in this category. If an artist is a winner in the New Female Artist /New Male Artist (or any respective previously named) category their first year on a ballot, they will not be eligible in any New categories again. Any artist who has previously won the award for Entertainer, Female Artist, Male Artist, Duo or Group of the Year (or any respective previously named category) is ineligible for a New Artist nomination. This award is presented to an outstanding duo or group in the country music industry who gains either initial fame or significantly greater recognition, through efforts surrounding the promotion of a debut or sophomore album, during the eligibility period. The artist(s) must have success in digital media; in addition to having charted a single in the Top 40 on Billboard’s Hot Country Songs or Country Aircheck (Mediabase) country charts. (Any albums self-released by an artist through an independent label that the artist owns and operates may not be counted as a debut or sophomore album, unless it produces a Top 40 single reported by Billboard’s Hot Country Songs or Country Aircheck (Mediabase) country charts. The nominees shall be determined by a nomination ballot(s) and are subject to the approval of the Board. The winner shall be determined by a vote of the ACM professional membership. Any artist(s) that previously served (or currently serving) as lead artist for, or otherwise fronted duos or groups in any genre are not eligible for this category. Additionally, any artist(s) who has gained initial fame as a solo artist, vocal duo or vocal group in another genre are not eligible in this category. An artist may be a nominee two times in a three-year period. Once an artist releases the lead single from a third studio album, he/she will no longer be eligible in this category. If an artist is a winner in the New Female Artist /New Male Artist (or any respective previously named) category their first year on a ballot, they will not be eligible in any New categories again. Any artist who has previously won the award for Entertainer, Male Artist, Female Artist, Duo or Group of the Year (or any respective previously named category) is ineligible for a New Artist nomination. Emphasis shall be placed on creativity, production, visual appeal and impact on consumers and the country music industry. The winner shall be determined by a vote of the ACM professional membership.A Professional Panel from the video/production industry whose members are approved by the ACM officers will submit the final nominees, which will be placed on the final ballot once approved by the Board. The Panel will choose the final nominees from a pool of eligible videos submitted by record labels, as well as any other country music video that the panel deems worthy for consideration based on its artistic merit. If the video was released prior to the eligibility period, but achieved its biggest impact during the eligibility period, it is eligible unless it hasappeared on a final ACM ballot in this category. This award is presented to an artist, duo or group upon receiving the New Male Artist of the Year or New Female Artist of the Yearor New Duo or Group of the Year andMale Artist of the Yearor Female Artist of the Yearor Duo or Group of the Year (or any respective previously named category) and Entertainer of the Year awards . The Board decides when and where the recipient will be honored with this award (not always an annual award).